This image was taken on 2012-09-08 23:35:20 UTC, SOL 33, subframe data, mastcam right. 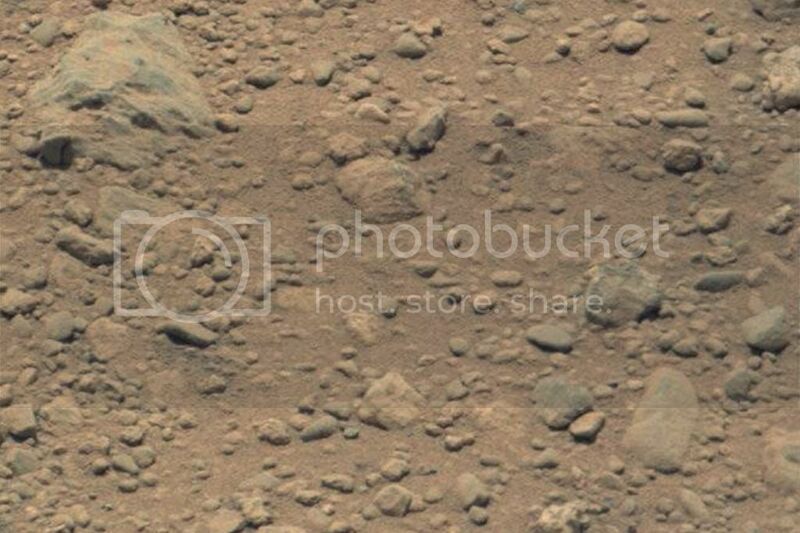 I am confused why they are announcing that the image they published today is the first time they've seen these features on Mars, when clearly they had the evidence in this earlier image. Well, dude, I wasn't discussing space. I was discussing the geology of Mars. Yeah I'm wrong, Mars isn't considered to be in space is it? Its just about clear that water, and plenty of it, flowed on Mars. What are the odds that after 10s of millions of years without the flow of surface water that it is now flowing under the surface? Now that would be one heck of a find. So is the Earth. Your point? In fact, as a member of the LAS, which is an NASA-affiliated amateur astronomy group, and a professional geologist, I did e-mail the curiosity team and asked them about the earlier image. I posted this stuff here and elsewhere so others could take a look at it and add their reasonable input. Now, unless you have something that actually adds to the discussion, then please stop with the personal attacks. I doubt if there is much conduit flow presently on Mars, particularly if the conduits are directly connected to the surface. However, I don't doubt that diffuse flow is present at depth. ?? I congratulated you on your findings, so they are considered a personal attack?